Beatrice Zinker is different…and that’s a good thing. Born to a right-side-up family, Beatrice feels out of place at times. But the self-assured Beatrice doesn’t let that get in the way of her BIG PLANS! She wants to turn the world upside-down, too, and in a good way. She plots with her best friend Lenny (short for Eleanor) to carry it out, but then school comes to an end and Lenny goes away for the summer. When she comes back things are DIFFERENT. Lenny just isn’t the same any more and doesn’t seem all that interested in the plan. What’s an upside-down thinker to do? Come up with an upside-down plan is what! 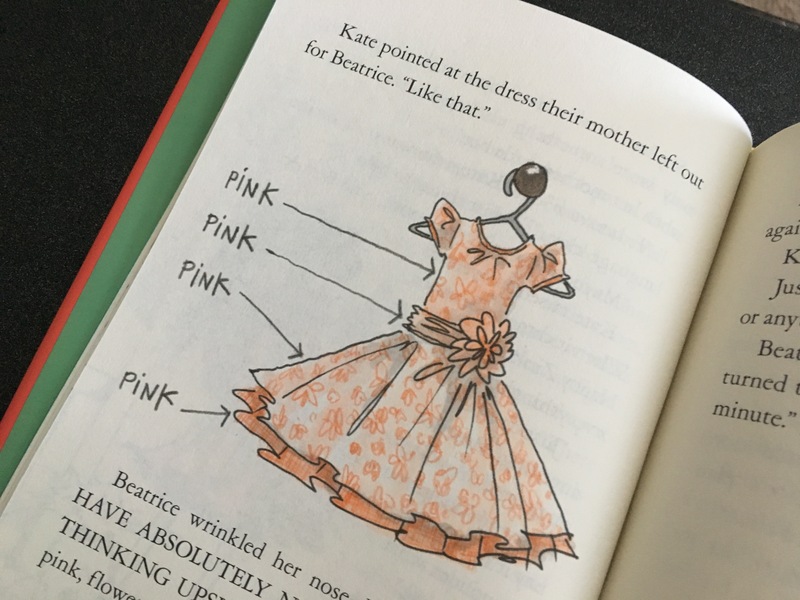 Beatrice is different…and that’s a GREAT thing! Shelley Johannes does an amazing job celebrating children who are different. And it doesn’t matter which way they are different. They will find a kindred soul in Beatrice. 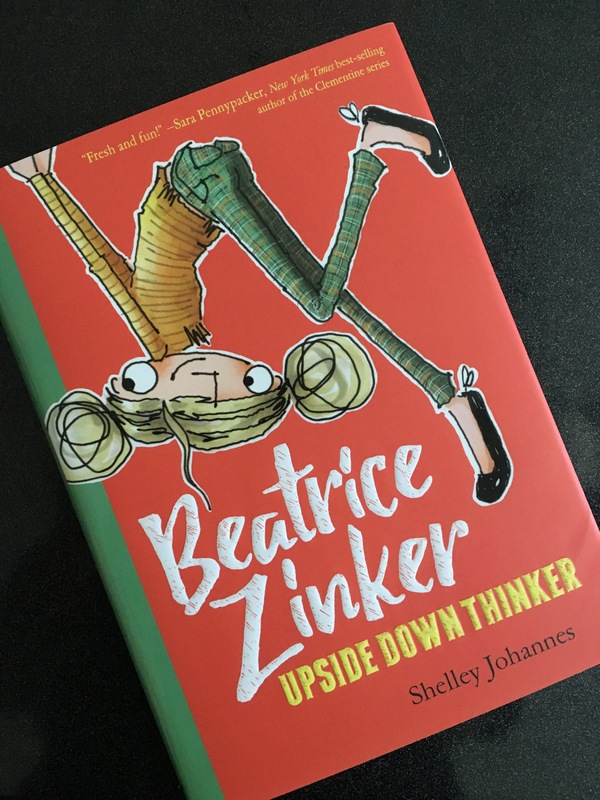 Beatrice embraces NOT being “normal.” She likes being upside-down and it’s a great way to build self-confidence in children who are often taught to conform instead of embracing their unique gifts. There’s nothing wrong with Beatrice. She just approaches life differently. Maybe Shelley really understands Beatrice. Shelley is an upside-down thinker herself. Having spent ten years in architecture, but with a love of reading and writing, she decided to jump into the deep end of the pool and write (and draw) her own book. Beatrice Zinker is that first book. What I love about Shelley is that this isn’t a picture book with words. This is a book of words with pictures that happen to fit in the flow of the story. The pictures accentuate and compliment without dominating the book. What’s even more impressive is that Shelley does BOTH writing and drawing! Maybe that’s why it works so well. 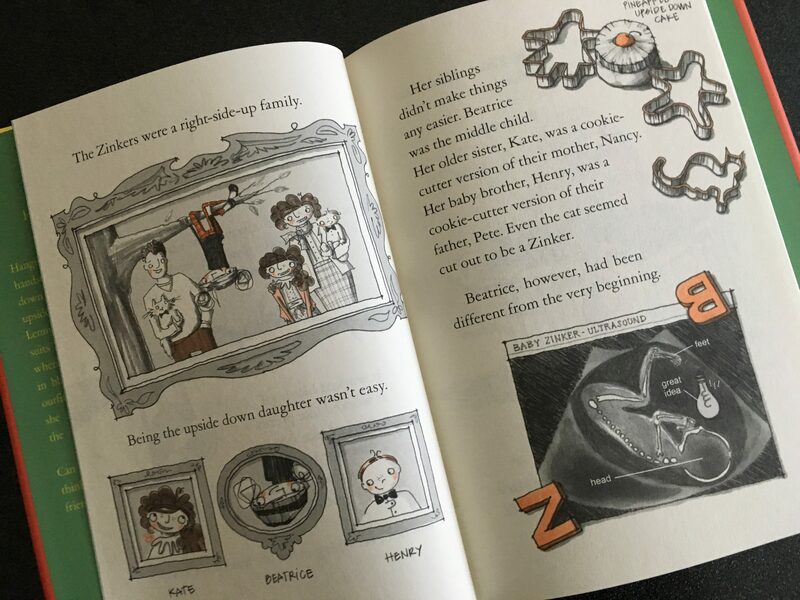 Overall, Beatrice Zinker is a great book for young readers and for parents who want to read to their kids. And mostly highly recommended for kids who are independent, self-reliant, and/or different in any way. Beatrice will help them to embrace their own specialness.